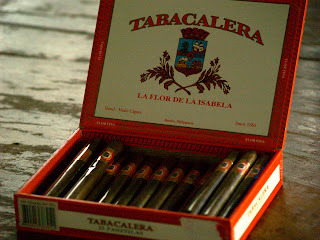 My trip to Tarlac to find old-style Filipino brown cigarettes has been delayed again and again and again. Now a north Luzon road trip seems a long way off. To appease the nagging desire to find something truly Pinoy related to tobacco I bought something available "locally." The Philippines has a long history with tobacco. Even today, many still in the northern parts of Luzon make a living out of growing and harvesting these plants. My curiosity pushes me to find out how good our products really are. Here in the Philippines, very few people can afford premium cigars but many Pinoys love to smoke. But since cigars are expensive and perceived as luxuries, most prefer cigarettes. 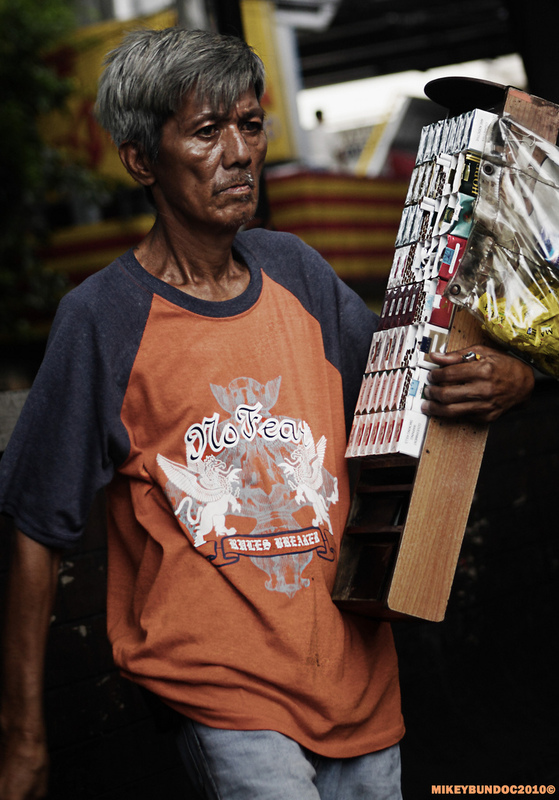 It has been part of the Filipino culture to find cigarette vendors everywhere. You can find them near stop lights, in the market and in every kanto. They're known as "takatak boys" because they make the taka-tak! noise with their wooden cigarette holders while selling by the stick. The Philippines is a cigarette market so cigars aren't really that popular. With little knowledge about these smoking sticks, I got myself some cigars. What I searched for are the panetalas which seemed appropriate for me because of its size and my budget. I don't want something that would take a long time to consume and I'm trying to prevent getting overwhelmed. This is just for trying it out. I noticed is a sharp, acidic scent which seemed too strong for me as I was expecting a bit more floral and sweet tones before lighting one cigar. I really can't say if it was good or not after I smoked my first. After having one lit, mellow's a word that don't seem fit for it, but that's just me. I'm not sure what to look for honestly. What's glaring is there are still a few premium cigar manufacturers in the Philippines making Manila Cigars, previously rated as worthy of high esteem. Maybe now is the time Filipino Culture understands what cigars are all about, what to look for, the judge of quality, and how to enjoy it. Enjoying jumbo rolls of tobacco isn't taught in schools. People tend to keep away from what they don't understand. Instead of displaying them in stores, cigar manufacturers should get Pinoys to know because once we appreciate it, we'd buy kahit mahal. I'm sure this is something that we can be proud of. As for me, I'm proud of our local stuff. But I might not have met my preference yet in smoking cigars. I heard of good reviews for the premium ones, and that's what I'll try to get the next attempt. It will take some time before I write about it, I'll have to save up first.